Seattle police say that two people were injured Friday afternoon after a cement truck rolled and crashed into three vehicles on Aurora Avenue North near Green Lake. 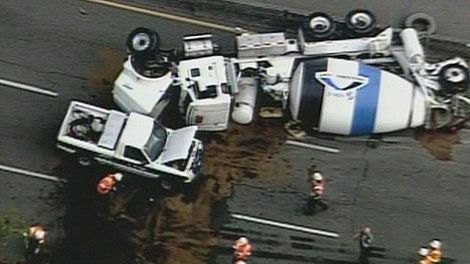 According to KING 5 News, the truck overturned on Aurora Avenue North near 72nd Street at approximately 2 p.m. Friday. The truck rolled and eventually collided with two pickup trucks and a passenger car. The driver of the cement truck was taken to Harborview Medical Center in Seattle with serious injuries, according to the Seattle Fire Department. A driver of one of the pickup trucks that was struck was treated at the scene of the commercial vehicle accident, but the injuries were minor and that person was released. No other injuries were reported in the accident. The truck accident attorneys at Davis Law Group help commercial vehicle accident victims and their families get financial compensation for their injuries and lost wages. If you have been the victim of a semi truck accident and would like to discuss your case with some of the best lawyers in Seattle, contact the Davis Law Group today at 206-727-4000.